Distributed Cache service caches data for fast retrieval across several features in SharePoint Server 2013, such as : News feeds, Authentication, Security Trimming, OneNote client access, Page load performance, etc. When SharePoint 2013 is installed, AppFabric service is installed as part of the SharePoint pre-requisites, and configured to run under the credentials of Farm account, Which is not ideal and triggers an alert in SharePoint 2013 Health Analyzer. "The server farm account should not be used for other services." Domain\Account the account used for the SharePoint timer service and the central administration site, is highly privileged and should not be used for any other services on any machines in the server farm. The following services were found to use this account: Distributed Cache Service(Windows Service). 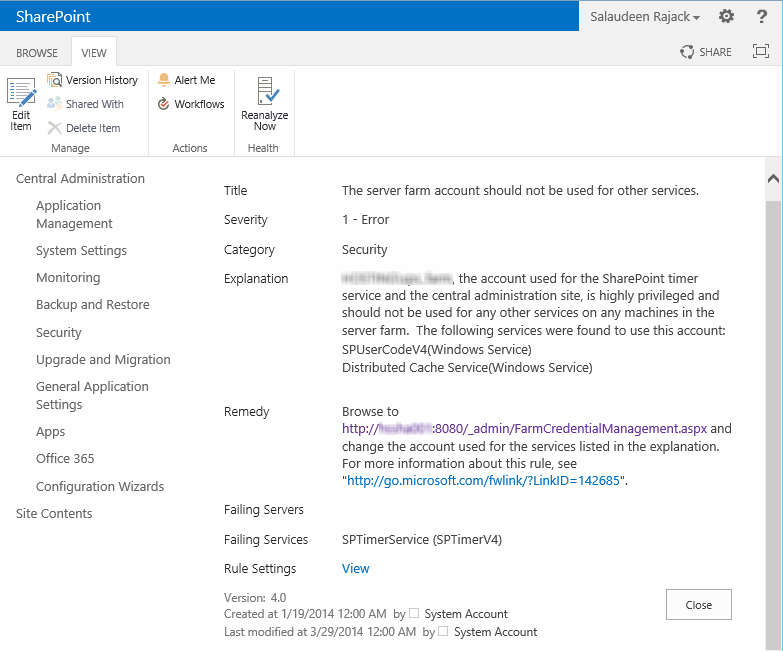 So, You cannot change SharePoint Server 2013 Distributed Cache service account using Central Admin site. 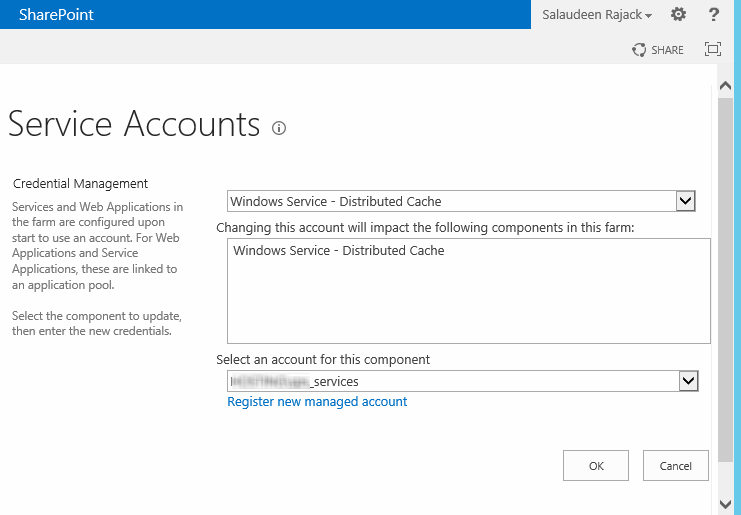 We got to use PowerShell to change Distributed Cache Service Account in SharePoint 2013. Login to a farm server using your administrator account, register a managed account and run these PowerShell cmdlets. $ManagedAccount = Get-SPManagedAccount -Identity "Crescent\SPS_Services"
Write-host "Service Account successfully changed for Distributed Service!" Once completed with the script execution, verify the change by navigating to: Central Administration > Security > Configure Service accounts > Select Windows Service - Distributed Cache. Make sure the new service account is displayed.